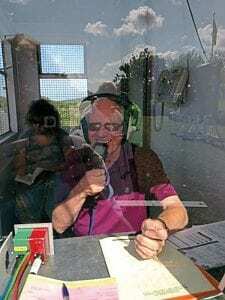 Long-time anchorman of the race commentaries at the Southern 100 International Road Races, Maurice Mawdsley, has decided to hang-up his microphone, having been ‘the voice of the friendly races’ for 28 years. Maurice took up the hot seat from Peter Kneale in 1988, the year the Pre-TT Classic Races were first run, with the Steam Packet Road Races added in 1991, as well as the feature event, the Southern 10. His voice soon became integral to the races on the Billown Course.